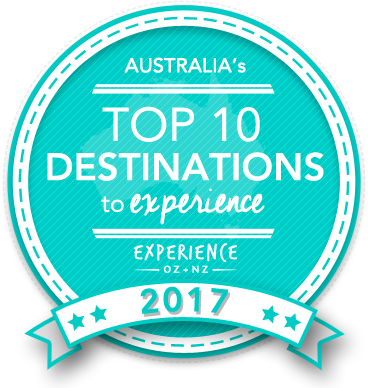 Vote forHaggerstone Island, QLDTop Island Destinations Which are Australia's must-visit destinations? You help us decide. Based around an all inclusive boutique resort situated on the Great Barrier Reef a significant distance from the mainland, the scintillating Haggerstone Island lies around 600km north of Cairns and epitomises a luxurious getaway: think white sandy beaches, tropical rainforest, blue lagoons, picturesque natural beauty and exotic timber buildings. This small island is a truly magnificent getaway hotspot that you'll have to share with very few others - should you be willing to pay for the privilege. Ideal for a mixture of both intimacy and privacy, Haggerstone Island is an unique holiday destination catering to guests interested in unplugging amongst pristine beaches engulfed by surrounding wilderness. The perfect destination for couples and honeymooners in particular, the island is only reached via chartered aircraft, seaplane or boat and therefore isn't open to the public for day trips. Visitors can encounter nature at its best on this self-sustaining island, which boasts some of the world's best coral gardens and has various isolated zones just waiting to be discovered. Haggerstone Island has a diverse range of wildlife courtesy of its close proximity to the Outer Barrier Reef, which makes seeing large Green Sea Turtles a common occurrence. Guests can explore the underwater marine life on Haggerstone that sits alongside the likes of World War II artefacts, shipwrecks and also participate in various recreational activities, such as scuba diving and snorkelling, for more fun and adventure. There is certainly no shortage of things to see and do on Haggerstone Island and doing so with your partner makes this a memorable and romantic experience unlike any other. As with many other reef-based destinations, Haggerstone Island has wonderfully warm weather conditions, which are ideal to enjoy some of its most popular watersports activities, such as snorkelling and diving. In terms of accommodation, its idyllic, high-end resort is perfect for a romantic or family retreat with several private guesthouses directly overlooking the sea. The resort only caters to a small and exclusive number of guests, so you can ensure your visit will be a quiet, exclusive and relaxing one. Each guesthouse can easily accommodate four guests, with the main building on the private island being a native style open house or you can rent out the entire island. Looking to pay a visit to Haggerstone Island but not sure what to do? Here are some of its most essential experiences. What's new on Haggerstone Island? Placeholder content here to be provided by Haggerstone Island tourism staff. Is Haggerstone Island Australia's Top Island Destination to Experience for 2017? Vote now for the chance to WIN an epic trip to one of Australia's top destinations!